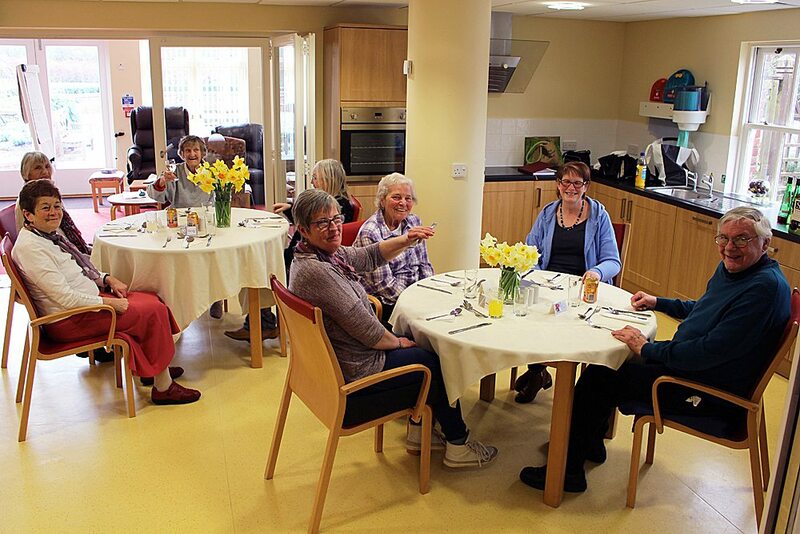 One of the most ancient of the City of London livery companies – The Worshipful Company of Cutlers – has donated a set of cutlery to Weldmar Hospicecare. The donation consists of 48 seven piece sets, worth over £1,100 – and will be used by day service users and inpatients at Joseph Weld Hospice in Dorchester. Andy Jackson, Weldmar’s Hotel Services Manager, said “Good food, and the support to eat it, is considered to be an integral part of a patient’s treatment and care; giving them the nutrients they need to support rapid recovery from ill health or giving them comfort food to make them feel happy. We strive to serve the finest foods to patients and relatives and, although the environment may be challenging, we believe that the meal should be served to an equally high standard with vases of fresh flowers, best quality crockery and cutlery to enhance the meal time experience”. Caroline Hamblett, Weldmar’s Chief Executive, said “I would like to thank everyone from the The Worshipful Company of Cutlers for their kind donation. Weldmar only receives 30% of our funds from the NHS, so we rely on the support of organisations such as this to help us provide our outstanding care across Dorset, supporting our patients and their families where and when they need us most – in their homes, in a local hospital, in our hospice, or over the phone”.